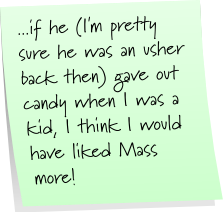 lol, yeah that would have made Mass much more enjoyable! They didn't give any at my church! 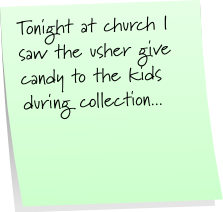 I always associate Trident cinnamon gum with church. Mom always pulled it out when we got rowdy in the pews.